State Law in Colorado says it’s legal to smoke pot if you have a physician’s reference. 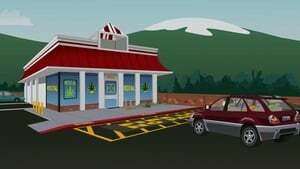 Randy is the first-in-line to buy some but he’s turned away because there’s absolutely nothing wrong with him. 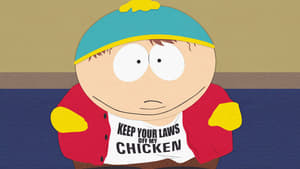 Randy is desperate to get a medical excuse to smoke some weed but meanwhile, Cartman will do anything to get his beloved fried chicken restaurant back.